Everyone feels anxiety from time to time. You may have a big project due at work and feel anxious that time is running out and you are not done, or you may be having 20 people over for a holiday and feel anxious because you have never cooked for over 20 people at one time. Anxiety is a standard response in those situations. If you find yourself unable to do typical everyday tasks and are obsessing over an incident or reaction to a statement, or feel your heart pounding all the time, then your anxiety has become an anxiety disorder. Stress is manageable; you need to learn the best mental techniques to deal with the feeling. 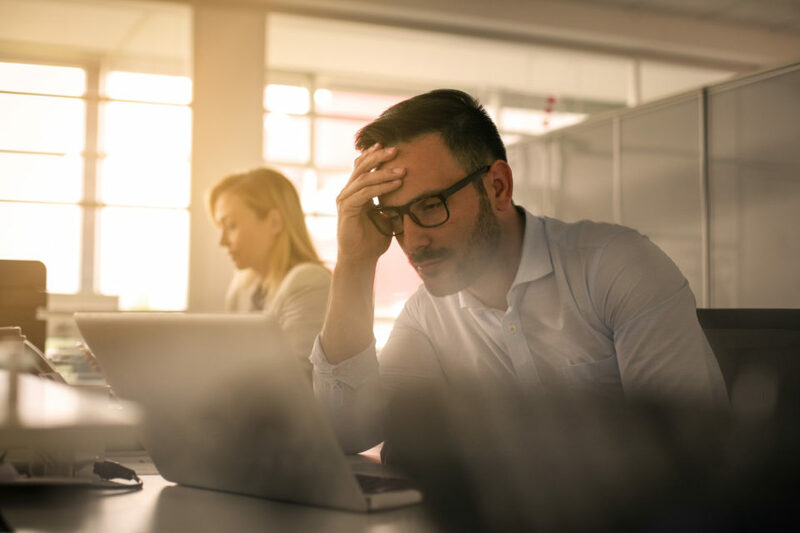 If you are experiencing these symptoms and feel stressed out, contact the therapists at Counseling Works in Plainfield for Anxiety Counseling. Yoga: Stretching the body like in yoga lessens the stress response feeling that brings on anxiety. Stress management: Managing stress will reduce your anxious feelings. You can manage stress by taking a walk, using focused breathing or organizing your thoughts. Organize workload: Organizing your workload at work, at home, and on your social calendar will significantly alleviate anxiety because you will have less to worry about. Relaxation techniques: Adding relaxation techniques, like deep breathing, muscle contraction, and prayer can help stop anxiety as well. Thinking Positive Thoughts: Thinking positive thoughts when you are anxious will also reduce intensely negative feelings. For instance, when a negative thought comes to mind, tell yourself “stop,” then think a feel-good thought. You can also write down a list of negative thoughts, then write positive thoughts next to it. The cross off the negative thoughts. Support: Talking to a trusted family member or friend can reduce negative feelings. You may also find anxiety support groups near home or work or online. Physical Exercise: Exercising does release certain chemicals in the brain that produce positive feelings. Now that you know a few techniques that will reduce your anxiety before it becomes unmanageable, be sure to follow up with expert anxiety counseling with the Plainfield counselors at Counseling Works. We have helped many area residents move forward with their lives and reduce their anxiety. To find out more about our anxiety counseling services in Plainfield, please feel free to send us a message using the intake form on our website, or call us directly at 630-281-4296. Our trained therapists will help you overcome your anxiety symptoms with anxiety counseling.